Gripple is the UK EO Awards Employee Ownership Culture Award 2018 winner. This new award celebrates a business that demonstrates a culture that allows employee owners to track their own contribution to the company’s goals and results. 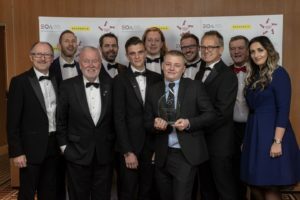 The first ever Employee Ownership Culture Award winner is a business with a clearly defined spirit and unique DNA, concluded the UK Employee Ownership Award 2018 judges.